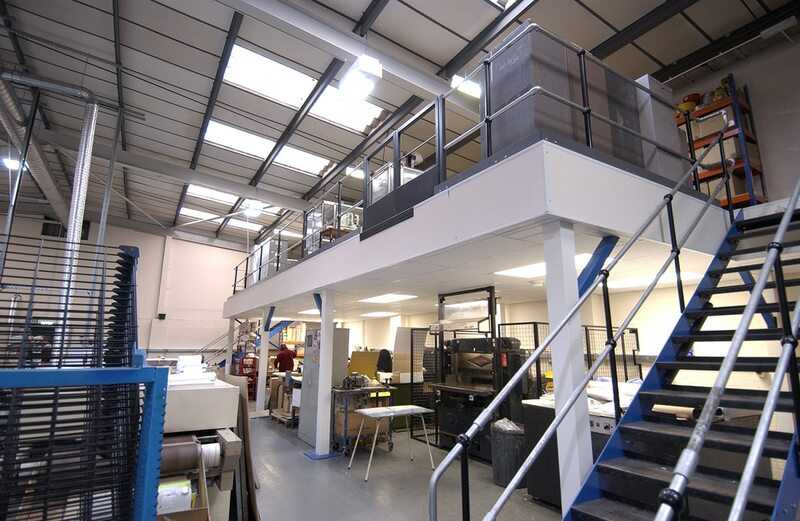 Built to your individual business requirements, production mezzanine floors can be as large or as small as required and using intelligent design techniques, they can be installed whilst your business remains operational. Like storage floors, a production mezzanine floor has a minimum loading of 4.8kN/m2 which can be increased to over 10kN/m2 depending on the business application. Production mezzanine flooring is commonly used for the storage of raw materials, finished goods and the use of heavy machinery.